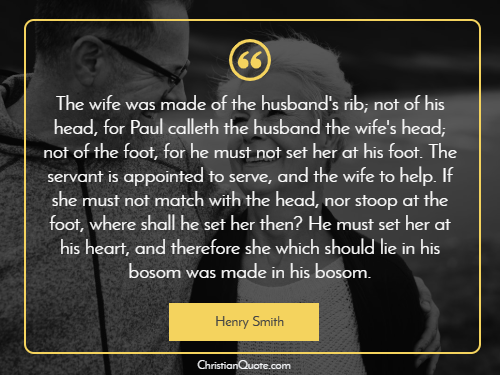 The wife was made of the husband’s rib; not of his head, for Paul calleth the husband the wife’s head; not of the foot, for he must not set her at his foot. The servant is appointed to serve, and the wife to help. If she must not match with the head, nor stoop at the foot, where shall he set her then? He must set her at his heart, and therefore she which should lie in his bosom was made in his bosom.